My life skid off the rails in my early 20’s, which became the starting point for my path into practicing Medicine. I started therapy, changed my highly-processed diet and got into meditation and Tai Chi Chuan to try to help myself through anxiety, depression and fatigue; which stemmed from a lot of family trauma growing up. I had barely made it through high school and didn’t make it thru college. By my third year in college, I needed to drop out of school to begin the journey of my own mental, emotional, and physical healing. By my late 20’s I felt a calling to practice medicine. I was increasingly interested in the philosophy of Chinese Medicine (CM), so I enrolled into Chinese Medicine and Acupuncture School. Because I came from a Medical family I felt my mission was to translate Chinese Medicine (CM) from the perspective of Western Medicine (WM). So when I started my private practice I felt like a huge database collecting data and information to help my patients. However, many years of compiling data felt like a mismatch to my deeper inner-self. I felt a disconnect with the CM I had just spent several years studying, and I was still struggling with the same symptoms of anxiety, depression and fatigue. I spent the first (7) years in my private Acupuncture practice on a quest for a connection to CM that felt authentic and valuable for me and my patients. 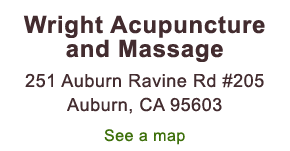 I gave myself until year 10 to find it, otherwise I didn’t feel like I could continue practicing Acupuncture. Fortunately, I connected with a colleague who practiced an original form of CM; he would mentor me in my practice for the next 9 years. Discovering this, “classical” approach to CM made all the difference for me professionally and personally. I felt like I had finally found something that could really help my patients with their own mental, emotional and physical struggles. Plus, my personal work with my mentor helped me with my well-being in ways that the CM I learned in Acupuncture School hadn’t. Because of my deep, heart-centered connection with CM, and my long journey of studying healing, I have become sensitized to the needs of the Inner Healing Intelligence in each of my patients, and I’ve experienced first-hand the perseverance required for one’s own healing. 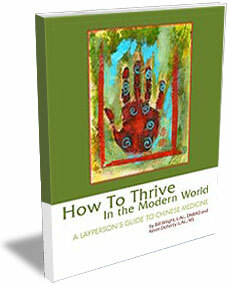 I am able to co-create a container of Transformational Healing (TH) with all of my patients. Transformational Healing (TH) is a team sport that demands that the practitioner understand the terrain, and functions to support, catalyze, awaken, focus, and guide each person’s unique intrinsic capacities for TH. Because my work focuses on the Inner Healing Intelligence within each of us, I have been able to help thousands of people along their own healing journey suffering from a myriad of different conditions ranging from anxiety and depression, to insomnia, musculoskeletal pains of all kinds, skin conditions, Bell’s Palsy, peripheral neuropathy, etc. I’ve learned over the last 30 years in my endeavor to understand TH, that it doesn’t take heroics to truly heal, but it does take deep listening to the healing intelligence within each of us, and a loving-kind supportive relationship with a practitioner who knows how to stimulate TH. I’m ready, experienced, and able to guide you along your healing journey in support of your own Transformational Healing.